My name is Beau Liddell, and welcome to the Images by Beaulin website showcasing my photography. You can click on the links above to navigate this site. As a professional wildlife biologist, outdoor photographer, and artist from Little Falls, Minnesota, I am immersed in our natural heritage. My passion for the natural world is a product of growing up in Minnesota, Utah, and Washington State. A self-taught wildlife artist at a young age, combined with the requisite time in the field trained me to think compositionally and to see the splendor in the outdoors. Being an outdoorsman who enjoys hunting, fishing and camping, and owing to my formal post-secondary and graduate training in ecology and wildlife conservation, I’ve spent most of my life developing a deep appreciation for wild things and places that fuels my creativity. For over 35 years, whether for recreation, serious artistic expression, or as a tool to document the plants, animals and habitats I manage as a biologist, a camera and tripod has rarely been far from my reach. With the advancements since the turn of the 21st Century, I have embraced the potential that digital imaging and printing technologies offer to challenge and expand a photographer's creative expression. Whenever possible I try to take the viewer on a journey through the photograph’s scene, giving them a chance to explore the subject. My photography is intensely personal to me, as are all my creative endeavors, and it must provide inspiration and express meaning in my life. When I create a photo, I want to convey the awe I felt while shooting the subject and bring the viewer into that world. In other words I try to create the feeling of being there in hopes that it will inform and inspire the viewer in some meaningful way. 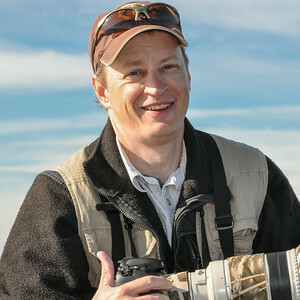 Due to my background in conservation, "treading lightly" and "respectfulness" are my motto's while pursuing subjects, and the majority of my photos are taken on protected natural resource lands and waters. More than anything, I enjoy sharing my knowledge of photography and the natural world with others, and frequently donate fine-art photo prints to local conservation groups to help protect our natural heritage. My work has appeared in National Wildlife, Minnesota Conservation Volunteer, and Minnesota Monthly Magazines, several Minnesota DNR publications, the latest revised edition of the classic "Ducks, Geese and Swans of North America", the book North Shore: A Natural History of Minnesota's Superior Coast, and several Capture Minnesota book projects hosted by Twin Cities Public Television. Photographers often like to talk about equipment, so if you're curious what gear I use you can check it out here. Most of my work is available for sale via the "Buy" button in my gallery pages, as either fine-art prints or licensed images. If you have questions, wish to order an image or print that you don't see in my galleries, or have any other special requests such as one-on-one coaching or small-group workshops, please use the contact link above, or send an email to ImagesByBeaulin@charter.net. I am also on Flickr, Facebook, LinkedIn, Google+, and YouTube.